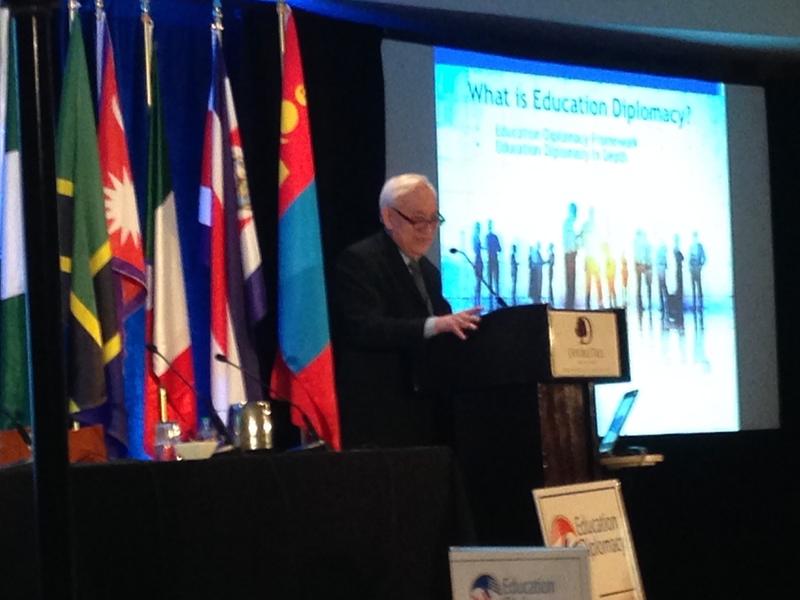 I’ve just returned from the Institute for Global Education Diplomacy held in Washington, D.C. March 5th-8th. I met the most remarkable individuals who are creating positive impacts both locally and globally, whether improving the quality of education in their communities or advocating to end extreme poverty. Instead of reporting right away on the meaning of education diplomacy, and the skills and ideals behind it, today I am writing about a chance encounter with someone whose work I’d like to share here, because I think it highlights the essence behind the concept itself. I had the pleasure of conversation with Donald Lee of Global Social Change. Donald worked for the United Nations within a diplomatic framework in economic and social development for poverty eradication. Currently he serves as President of the International Committee for October 17 — the United Nations International Day for Poverty Eradication — and Adjunct Representative of the International Movement ATD Fourth World to the United Nations. His mission is to work to end poverty and hunger, restore human dignity, promote human rights and reverse climate change. I did not know any of this when I sat down next to him with my bagel, fruit and coffee, the first morning of the conference, of which he was the first speaker on the agenda. We had a friendly chat, he’d taken interest in my work, and by the end I’d learned his title, but I also understood that he is more than his title- he doesn’t just know diplomacy, he creates it in harmonious exchange. I mention this because it is relationships that are at the heart of diplomacy. Being capable of relaxing your ego so that you can open to really hear the voice of another, is not only a diplomatic skill that moves relationships forward in a constructive way, it is a way of be-ing. A way of living in the world that creates harmony everywhere you go. So when onstage he said, “All definitions of sustainable development require that we see the world as a system,” I knew they were not empty words. As he spoke about how we are all connected through time and space, I knew he spoke from an authentic place; that like me and so many others, we know our destinies are not to rule over nature or over one another, but to live in partnership with nature, with one another and with society, recognizing the interrelated quality of all of life.